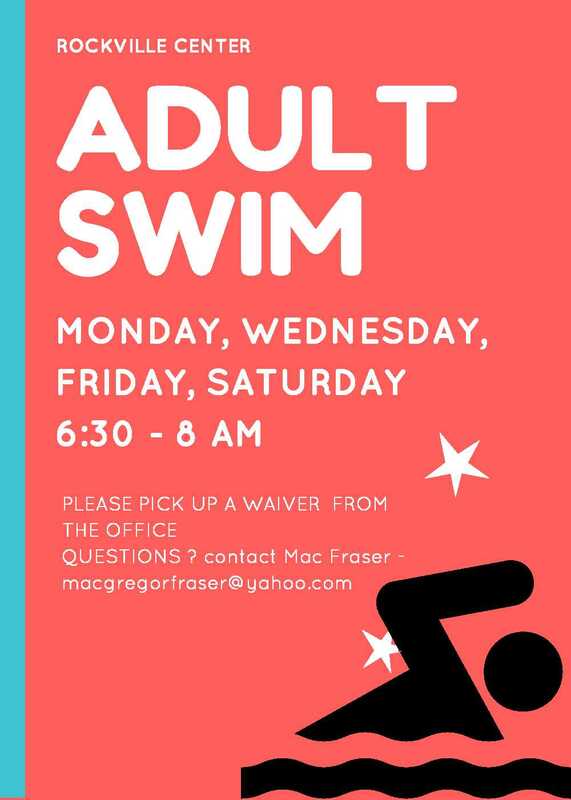 ← 4th of July Potluck Picnic, Tuesday, July 4th, Noon to 3:00 p.m.
Just a reminder that we have an adult swim on Monday, Wednesday, Friday and Saturday mornings from 6:30 am till 8:00 am. You must complete a waiver to participate. Waivers are available from the guards at the guard shack.